The national final in Italy is the well-established and popular San Remo Festival, which is lasting a week long. 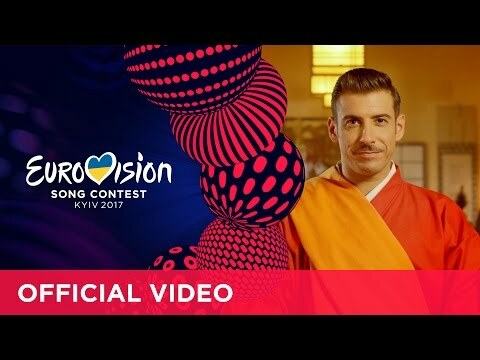 This year the winner Francesco Gabbani has been chosen to represent Italy at the Eurovision Song Contest as well. The funny and ambitious guy has captured the hearts of the Italians by a storm with his smash hit “Occidentali’s Karma” (karma of the Western world). It was not only a pleasure to watch the entry in the audience or at the television, even the orchestra had a lot of fun to support Francesco. The most striking thing is the gorilla on stage which give a certain uniqueness. At the end, Italy is sending a great favourite to Kiev. 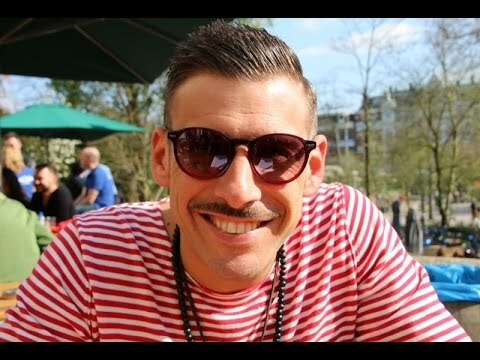 Francesco Gabbani is a cool guy, who is born in Cararra, Tuscany in 1982. He grew up in a family of musicians, his father is a drummer and therefore he plays drums and the guitar. In the age of 18 he has been a member of the group Trikobalto. This band was also the opening band for Oasis in Italy, they have released two albums. After that Francesco has started his solo career releasing one album "Greitist Iz". In 2016 he received the newcomer price “Amen”. Francesco and his brother Filipp co-composed the song together with Fabio Ilacqua and Luca Chiavarlli. The catchy tune “Occidentali’s Karma” has already broken several records, on YouTube the video clip already has more than 50 million views. The song became gold status within a week and double platinum within a month. For Eurovision the song had to be shortened to three minutes. It still has a special atmosphere, a feel-good song with great winning chances. Italy has never been so close to victory like this year. The song is probably going to be a summer hit, at least in Italy and probably everywhere else. With the gorilla on stage it will stick to people’s mind and that is very important to have something to click on. Congratulazione! For Italy it’s the 45th time participating in the Eurovision Song Contest! The original idea of the ESC resulted from the Italian music festival “San Remo Festival” which started in 1951 for the first time and it’s still exciting and very popular. The winners are often the representatives for Italy in the Eurovision Song Contest. The concept came up to do a similar contest on an international level, which has become reality in 1956. Normally one of the winners of the San Remo festival has been chosen to be the Italian representative for the ESC, or the runner up. In the ESC Italy has only won twice “Non Ho L'étà” by Gigliola Cinquetti in 1964 and “Insieme: 1992” by Toto Cutugno in 1990. Over the years many of the Italian contributions became hits or even evergreens all over Europe and are strongly connected with typical Italian music like “Per Lucia” by Riccardo Fogli in 1983 (11th), “Gente di Mare” by Umberto Tozzi & Raff in 1987 (3rd) and “Fiumi di Parole” by Jalisse in 1997 (4th) and lately the tenor trio Il Volo with “Grand Amore” (3rd). Furthermore there were many Top 10 rankings for Italy – 4 times 2nd and 5 times 3rd -, so it’s one of the most successful countries in Eurovision. The chances for a Top10 placing are enormously high with 72%. Maybe it’s also due to the fact that Italian music is very popular in general, and the Italian entries show the Italian music at its best. Italy has paused for twelve years (1998 – 2010) until the Italian broadcaster RAI has decided to return in 2011, this has been highly appreciated internationally, as Italy is known for high quality music. Luckily, Italy shaped up very well in Düsseldorf with “Follia D’Amore” by Raphael Gualazzi who came 2nd. One year later with “L’Amore E Femina” by Nina Zilli a 9th rank could be reached. Another year later Marco Mengoni could even make a respectable 7th place in Malmö, while the 2014 entry "La Mia Città" by Emma Marrone only reached the 21st place in Copenhagen, but therefore Il Volo could make the Italians proud again with “Grande Amore” and a 3rd place! And last year in Stockholm Francesca Michelin could convince with “No Degree Of Separation” and made a 16th place.